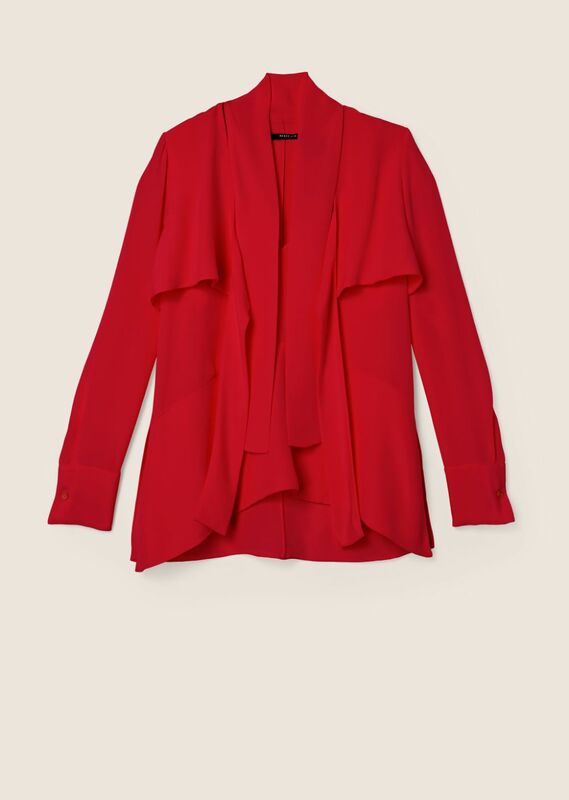 Relaxed long-sleeved blouse in red 2-ply silk crepe with wide tie overlay. V-neck. Side slits. Buttoned cuffs. Imported.